Okay, so you’ve planned out your transit trip, know when the bus is scheduled to arrive, got your fare ready, and are now at the bus stop. You’ve done everything that you needed to do and will be on time to work this morning, except that you weren’t aware that there was a detour along your bus route due to construction. Nathan is not happy about his bus route being on detour. If he knew about the detour in ahead, he would have caught another bus elsewhere. Different transit agencies have different ways to get the word out about transit service detours and interruptions. However, there is no single best way to do so – especially in the age of technology such as smart phones and Social Media. In some cases, people don’t know about a particular detour because they’ve missed the Social Media post about the detour, or perhaps that person doesn’t have a smart phone. 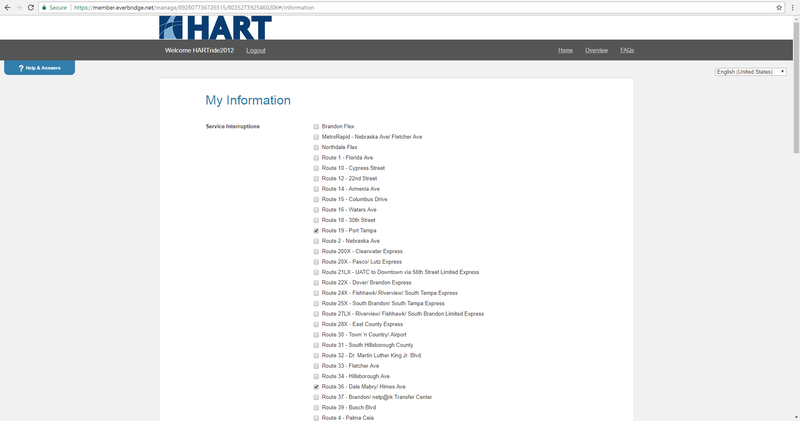 If you’re a Hillsborough Area Regional Transit (HART) customer, there’s no need to fret anymore! The agency has partnered with Everbridge to bring you service alerts via email or an automated phone call. It’s easy to sign up and the process only takes a few minutes. Within those few minutes, you’ll be able to start getting alerts about route detours and other service interruptions for the routes that you choose. To access the sign in/up screen, simply click or copy the following link into your browser’s address bar. The sign on screen. Click the image for a closer look. 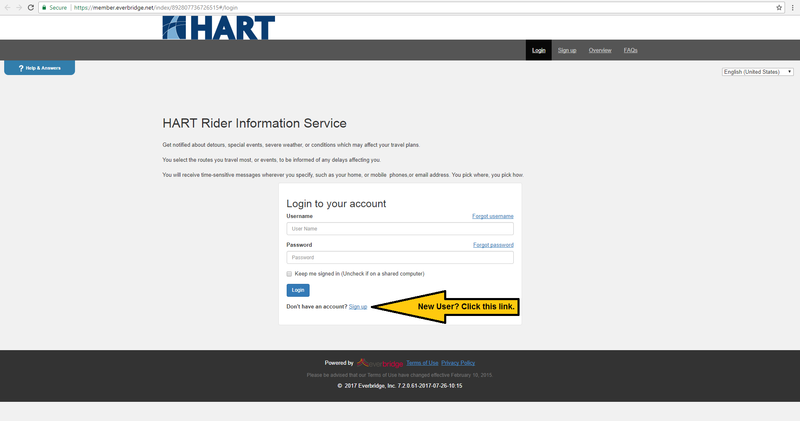 If you’re registering for the first time, simply click the link indicated by the yellow arrow in the screen shot above, then follow the instructions on the next page. 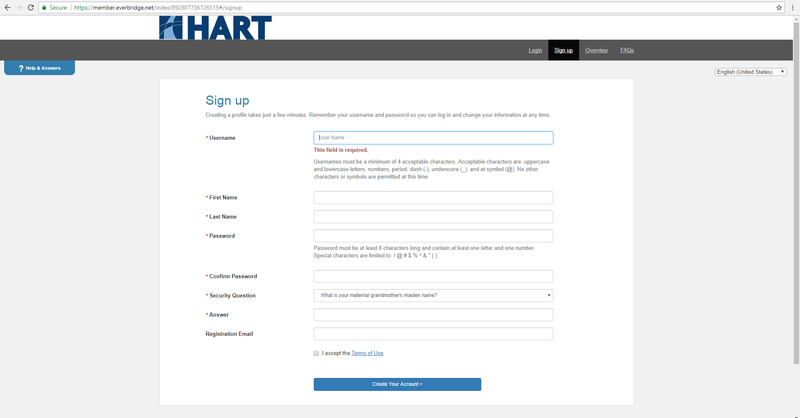 The sign up screen. Click the image for a closer look. Once you’re finished registering, you’ll be able to select which routes you want to receive alerts for. The route selection screen. Click on the image for a closer look. 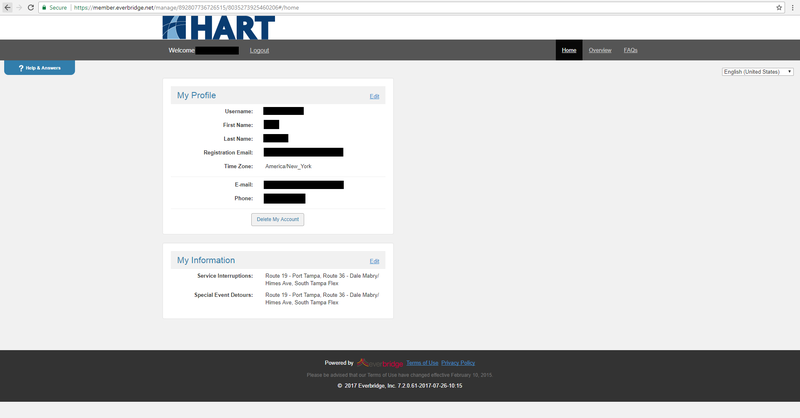 When finished, you’ll be able to view your profile and edit any details down the road (like if your phone number changes). Summary screen. Click on the image for a closer look. Because Everbridge is an opt-in service, you will only receive the alerts that you specify. Have questions? Please visit the FAQ page or contact HART directly at 813-254-4278. Even better news if you’re a City of Tampa resident! The City of Tampa also partners with Everbridge to provide you with Alert Tampa notifications. The registration process is the same as the above. Please visit the City of Tampa website to learn more about the Alert Tampa service.